My wife and I run our own company. We take a small salary and the rest of our money out as dividends. We’ve been hearing rumblings about some changes that were in the Summer Budget regarding how dividends are taxed. Will they affect us? 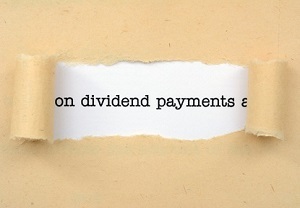 Thanks to the effect of a notional 10 per cent tax credit, the “effective” tax rates on dividend income is 0 per cent in the basic rate band, 25 per cent at the higher rate and 30.56 per cent in the additional rate band. But under proposals announced in the Summer Budget, from April 2016 dividend income over £5,000 a year will be liable for tax at the basic rate of 7.5 per cent, 32.5 per cent for the higher rate and 38.1 per cent for the additional rate. I assume virtually all of your income is from the company and is all taxed within the basic rate band. At this stage, the proposed changes have not been legislated and there is still very little detail surrounding how the dividend allowance will be operated. But based on some assumptions, it looks like if you were to continue with your remuneration package as it is, it might cost you in the region of £1,700 each in personal tax under the proposed regime. Under the current system, you’ve probably not been paying any personal tax because it’s covered by the tax credit so you will need to factor this in to your budgets and make sure you put aside enough to cover it. Operating as a limited company should still be more tax efficient for you, but it won’t offer quite the same tax savings it used to. If you’d like to discuss your affairs in more detail, please feel free to contact us and we’ll put you in touch with your local TaxAssist Accountants office.